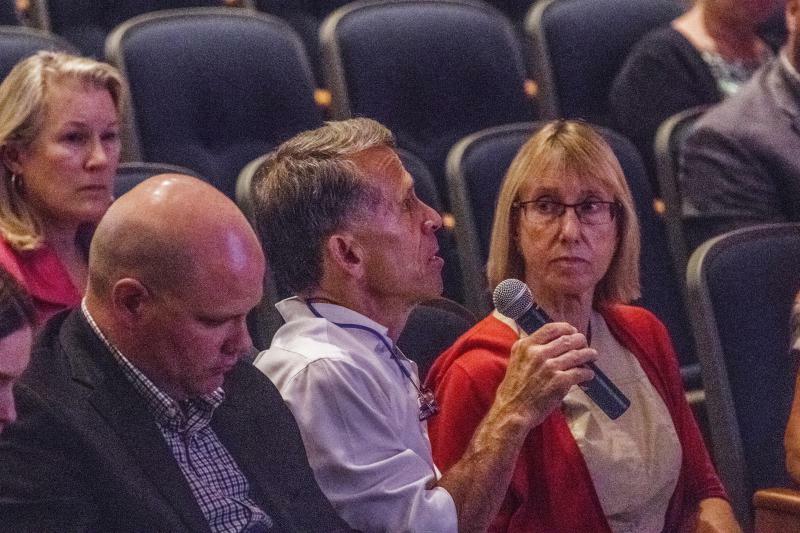 Bloomington Mayor Tari Renner asks a question during the joint sports complex meeting on July 16, 2018, at Heartland Community College in Normal. 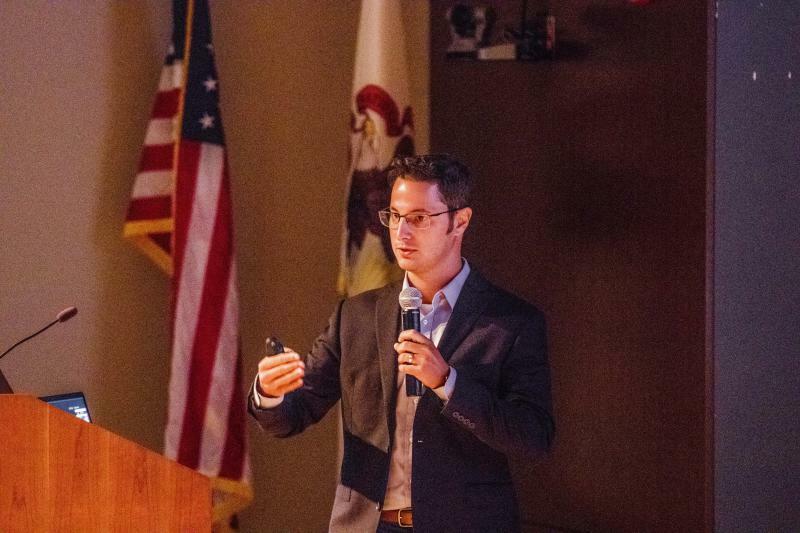 Renner and the Bloomington City Council attended a joint meeting last week when a $43 million indoor-outdoor sports complex concept was unveiled. Normal officials have said only a public-private partnership would make the project feasible. Appearing Tuesday on GLT’s Sound Ideas, Renner went a step further. “Those don’t come anywhere near covering the expenses. So where is that money going to come from? We’re not closing this financial (gap) with naming rights. This has to be something very substantial (from the private sector),” Renner said. Other big projects like Bloomington Public Library and O’Neil Park renovations should be higher priorities for the city, Renner said. Renner said he’d support asking voters to weigh in on a sports-complex referendum, but only after a more fleshed out proposal is presented. An excerpt from GLT's interview with Bloomington Mayor Tari Renner. 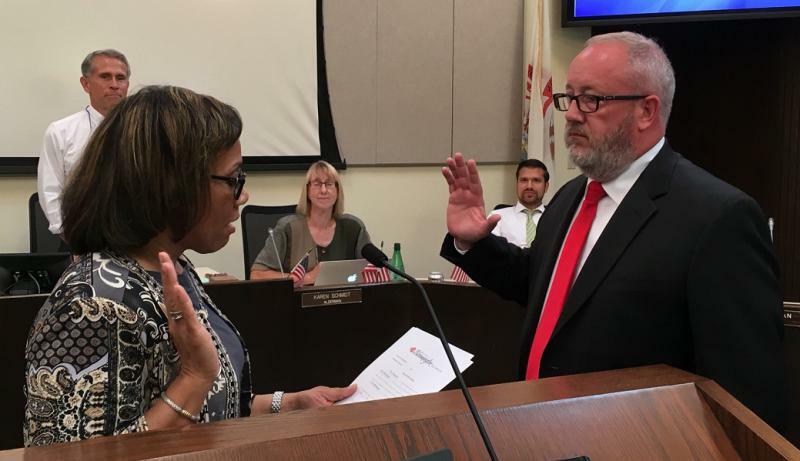 GLT's full interview with Bloomington Mayor Tari Renner. 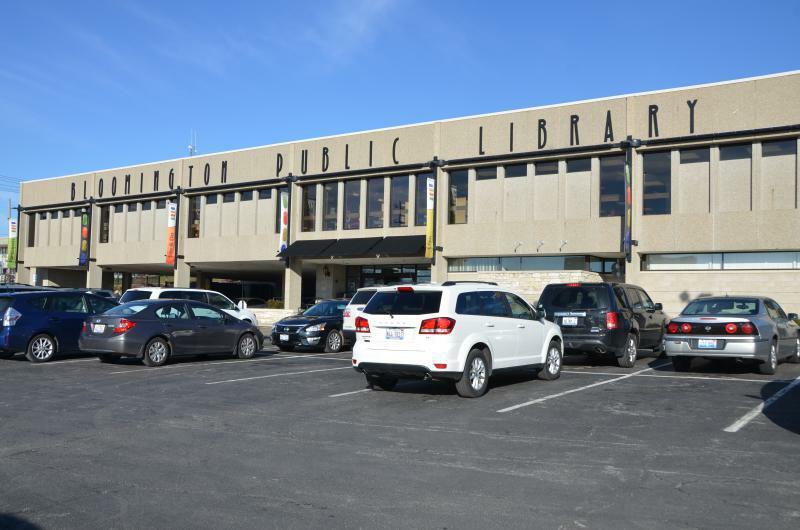 Aldermen are reacting to a multi-phased expansion concept presented this week to the Bloomington Public Library Board of Trustees.